The problem that I see with training so much with very little recovery or downtime is that my client’s body constantly screams out – whether it’s tight muscles, a lack of range of motion in a particular set of joints/limbs, the constant dull ache that never seems to go away, etc. I also see the common mentality of guilt from clients when they can’t train – they feel bad that they’re not exercising even if they’re sick or it’s just one day off! So clients will come in for a massage regularly in order to just manage the issue but not understanding that if they want the issue to actually go away, there needs to be a bit of a rethink about their exercise regime and how they use their body. I sat down with Tori and Hamish, the founders of Cultivate Recovery in Darlinghurst, and got them to debunk a few myths around recovery and to explain why recovery, from their perspective, is really important, especially for the active person. Q: What are the common misconceptions that you see in relation to recovery? You need train incredibly hard all month and use recovery only as a reward. When you are feeling sore and or experiencing an over use injury. That recovery protocols will instantly resolve there injury or pain related stress. These are all misconceptions because recovery should not be be looked at as a reward and/or solution to under-recovering, recovery should be seen as a process of letting your body adapt to the levels of stress you undertake and to help bring the body back to a level of homeostasis. It should be your first focus once you have completed a training session, game and or a stressful work task. Q: In your opinion, why is recovery so important? optimisation (the fun stuff): recovery protocols like sauna, compression and massage. The basics should be done daily. The word daily would imply its importance! Doing the basics right will give you a great baseline for recovery. With all the “fun stuff”, it should be layered into your routine weekly to help stimulate recovery. There is no such thing as over training, there is just under-recovering. Q: Do you have any tips for a person who is looking to add some recovery to their schedule and how often do you recommend that a person schedule recovery time a week? A: Recovery should factored into everyone’s training program or weekly training schedule. 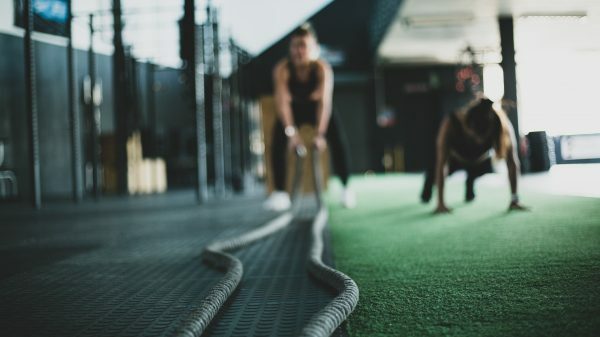 The way to go about this is to allow yourself to have 1 dedicated recovery session per week to be done instead of a workout, for example a 30 min hot sauna and one simple outdoor activity (not training, think more like a casual walk in the sun) on weekends. Q: What’s the story behind Cultivate Recovery? A: We created Cultivate Recovery with a goal in mind to create content and knowledge to help the recovery industry move in the right direction. We decided to open our facility in the heart of Sydney to make it as accessible as possible to most people and athletes. We wanted to incorporate recovery protocols that are backed scientifically and can work together to get you the best results. More details about Cultivate Recovery can be found here, or you can ask me about the services (infrared sauna, cryotherapy, normatec and hyperbaric chamber) they have as I actually use them quite a bit! Find Tori and Hamish (and Dan the Frenchie) at 1/155 Little Oxford Street, Darlinghurst 2010.